Mustard greens belong to the same family of plants as kale, cabbage and collards, but unlike these relatives, mustard greens have an unmistakable, peppery zing. 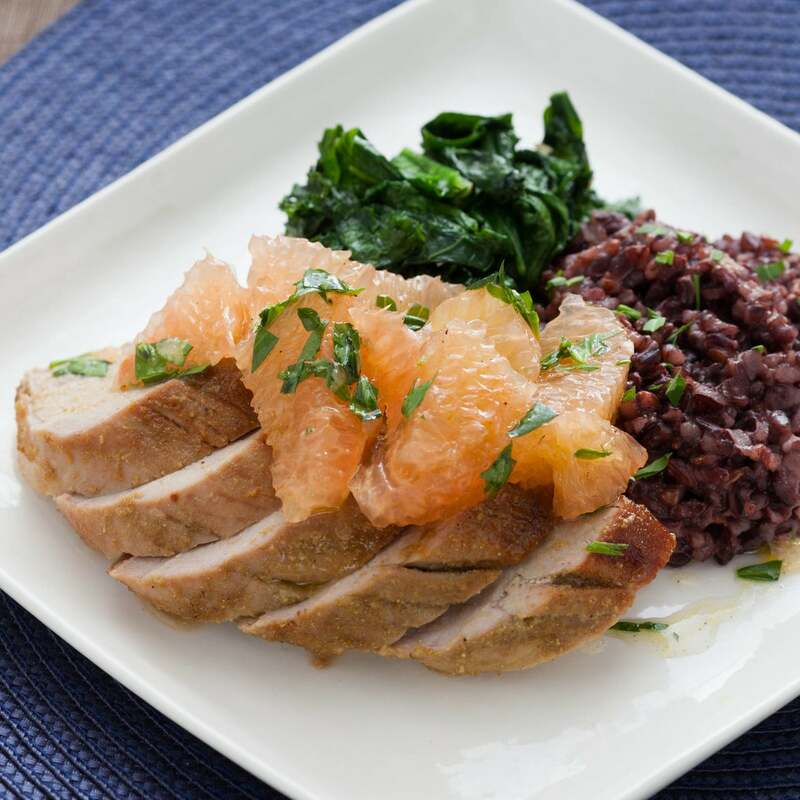 This vivid ingredient cuts the richness of the pork and contrasts the juicy tartness of the grapefruit. 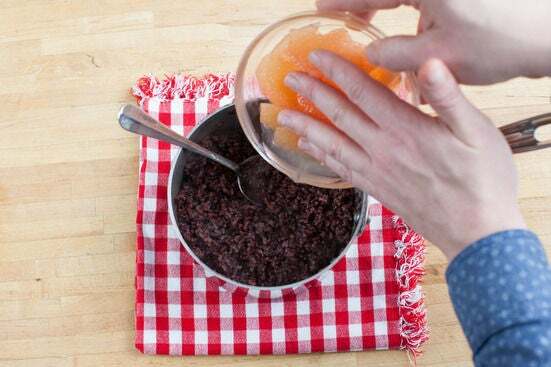 With an earthy, buttery side of black rice, this dish is a playful, striking balance of delightful flavors. Preheat the oven to 500°F. 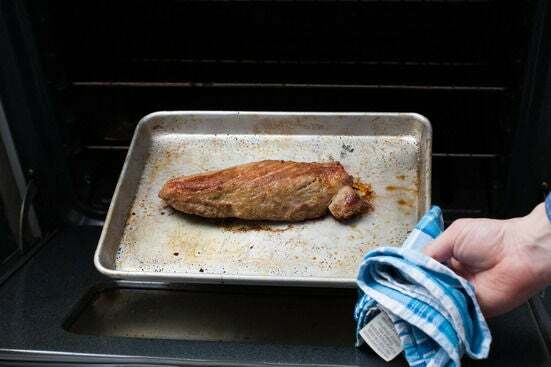 Remove the pork tenderloin from the refrigerator to bring to room temperature. Wash and dry the fresh produce. Heat a medium pot of salted water to boiling on high. Peel and finely chop the garlic. 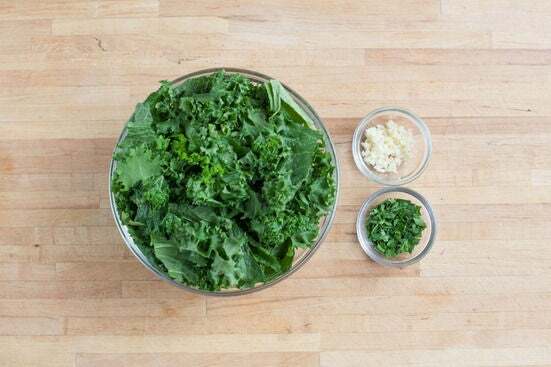 Cut out and discard the thick stems of the mustard greens, then roughly chop the leaves. Pick the tarragon leaves off the stems; discard the stems and roughly chop the leaves. Add the rice to the boiling water and cook 15 to 20 minutes, or until tender. 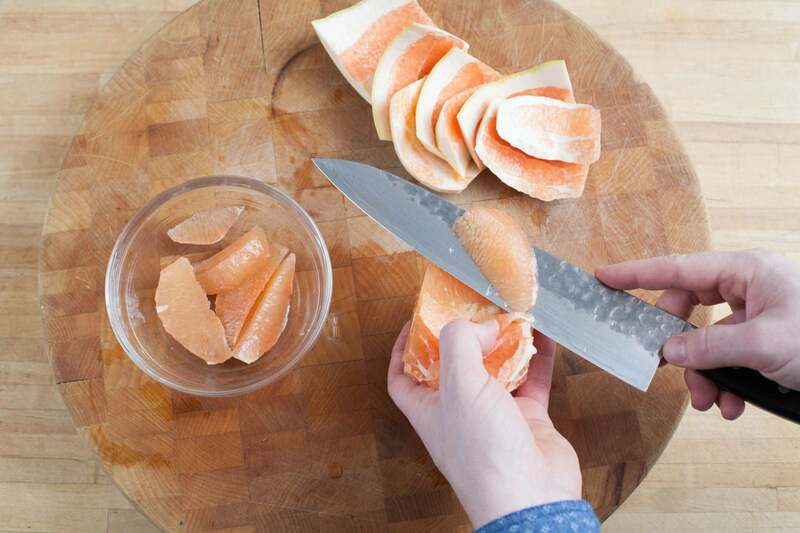 While the rice cooks, with a knife, cut about ¼ inch off the top and the bottom ends of the grapefruit and sit it flat on a cutting board. Following the contour of the fruit, cut away and discard the peel and pith. Over a small bowl, using a knife, cut the individual segments (or supremes) of the grapefruit from the thin membranes that separate them. Place the supremes in a small bowl. Squeeze the juice from the leftover membranes over the supremes. While the rice cooks, pat the pork dry with paper towels and place on a sheet pan or baking dish. Season with salt and pepper and the ground fennel, then drizzle with a little olive oil. Using your hands, rub the seasonings into the pork. Place in the oven and roast 17 to 19 minutes or until cooked through and the center reaches 145°F, flipping halfway through. Remove from oven and let rest for at least 5 minutes before slicing. Once the rice is finished cooking, drain thoroughly and return to the pot. Stir in the grapefruit juice (from the bowl of supremes) and half the butter; season with salt and pepper to taste. 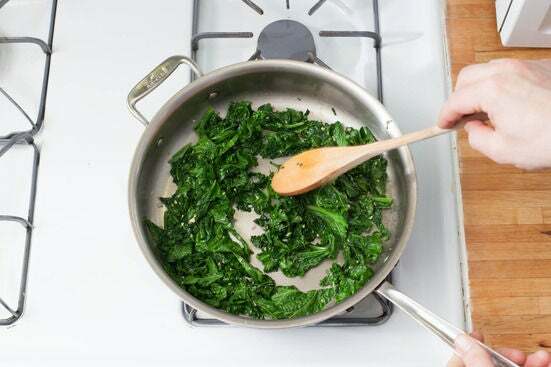 In a large pan, heat the remaining butter with 2 teaspoons of olive oil on medium-high until melted. Add the garlic and cook, stirring frequently, 30 seconds to 1 minute, or until fragrant. Stir in the mustard greens and season with salt and pepper. Cook, stirring occasionally, 2 to 3 minutes, or until wilted. Toss the supremes with all but a pinch of the tarragon and a little olive oil. Season with salt and pepper to taste. Find the lines of muscle, or the grain of the cooked pork. Slice the pork crosswise against the grain into ½-inch-thick pieces. 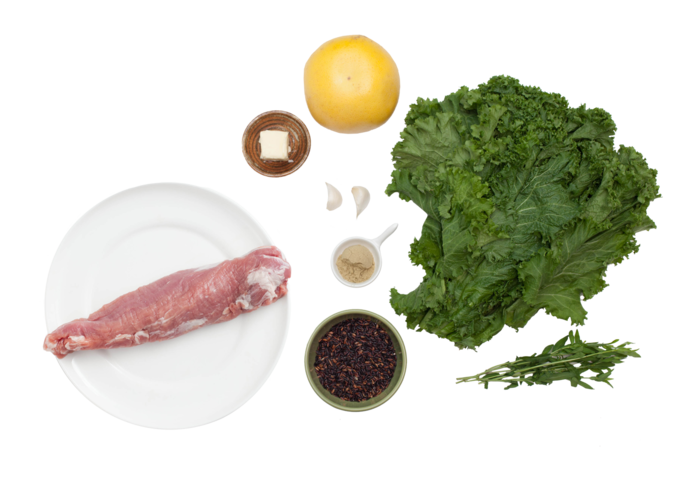 Divide the pork between 2 dishes along with the rice, mustard greens and grapefruit segments. Garnish with the remaining tarragon. Enjoy!